(Natural News) One way to improve your overall health is by just simply singing — and you don’t even have to be a good singer to reap its benefits. Research suggests that singing in a choir not only benefits your physical well-being, but also your mental health. Singing is a physical activity because when you sing, you have to sit or stand straight, breathe deeply from your diaphragm, and present your voice using the upper body, neck, jaw, and face muscles. Through these actions, your physical health is improved. This is because these actions improve posture and release tension in the body. In addition, singing strengthens the muscles in the roof of the mouth or palate as well as the throat. In turn, this reduce snoring and sleep apnea. Singing also involves deep, rhythmical breathing. This action can strengthen the lungs, thus oxygen will flow more in the circulatory system and the brain. A better oxygen flow leads to a more regulated heart rate, lower blood pressure, and better mental alertness and cognition. A 2014 retrospective review of studies analyzed the effectiveness of music therapy in people with asthma. The study researchers reviewed more than 800 studies and found that music therapy may help relieve symptoms of asthma. 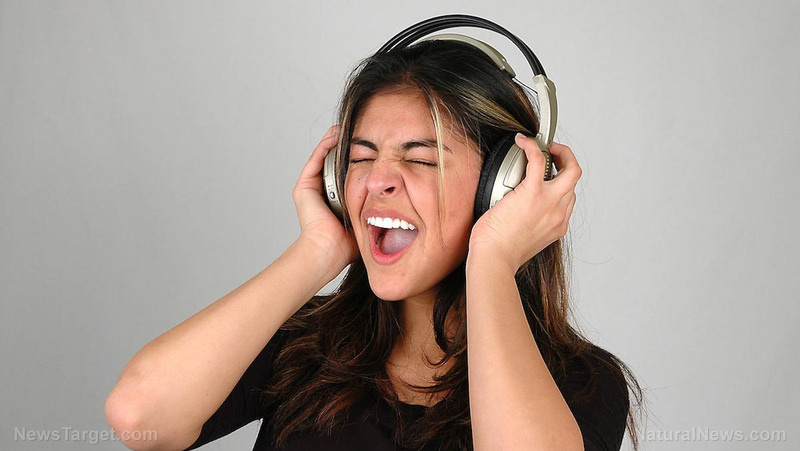 Moreover, singing stimulates the production of beneficial hormone and neurochemical changes in the body. One of the hormones released when singing is dopamine, which is a hormone associated with pleasure and reward in the brain. Singing reduces stress hormones, increases antibodies which strengthen the immune system, boosts endorphins, which are natural pain relievers and antidepressants, and ups oxytocin that helps reduce anxiety and stress. Some of the mental health benefits of singing are because of the physical changes that singing causes, like the reduction and release of some hormones, as mentioned above. Research indicates that singing enhances mental health as it improves mood and decreases depression and anxiety. This makes it a good replacement for pharmaceutical drugs for mood changes. Furthermore, singing can help improve communication, participation, and social engagement of people with psychosis, bipolar disorder, and schizophrenia. In a study of singers involved in free weekly workshops, it was revealed that singing in groups can help improve mood and social skills. The weekly singing workshops called Sing Your Heart Out (SYHO) is targeted to the general public, but more specifically people with mental health conditions. Before moving into the community in Norfolk, England, it started at a psychiatric hospital in Norwich in 2005. Researchers from the University of East Anglia carried out a study of 20 members of the group for six months. The findings of the study revealed that singing together with socializing helped improve the lives of people with severe mental health problems. In addition, the researchers said that the project prevented some people from relapsing. They also said that this approach was a low-commitment, low-cost approach for mental health recovery. Moreover, the workshops did not add pressure to its participants because no one was required to discuss their condition. “That means you don’t know who you’re sitting next to. You don’t have to tell anyone about yourself,” Tom Shakespeare, lead researcher, told the BBC. Read more stories on improving health and living longer at Longevity.news.